The team is proud to announce the release of Linux Mint 18 “Sarah” Xfce Edition. “What’s new in Linux Mint 18 Xfce“. If you are running the BETA, click the refresh button in your Update Manager and apply any outstanding level 1 updates. Note also that samba was removed in the stable release as it negatively impacted boot speed. To remove samba, open a terminal and type “apt purge samba”. If you are running Linux Mint 17, 17.1, 17.2 or 17.3, please follow this tutorial. I particularly like that the delay in the Whisker menu has disappeared: when you click the menu icon, it now pops up instantly. What setting did you tweak in order to achieve that? Thank you so much for all your efforts to provide an excellent os.! Thanks to Clem and the team! Linux Mint all the way! I didn’t liked the new icons, it’s a bad hodgepodge, but is still a great distro and I have to say thank you, guys. Thanks! It’s a good day. Thanks Mint-team for the excellent OS and thanks Pjotr for the excellent guidelines. The installer in Mint 18 waits for an inordinately long time looking for time servers, when there is no net connection. Earlier version did not have this problem. In situations where net connection is a problem, waiting for the installer to get time when the net connection is not there seems strange. Is this design decision reversible? I need KDE for Desktop. Also need Xfce for Netbook. Thanks for Mint 18 Xfce, I think it’s an excellent os ! I like to use it ! thanks for the release, perfect for my old netbook. Still, I noticed one tiny little problem that (judging from the comments on the beta release post) has not been resolved. On my laptop, the battery indicator does not appear automatically and has to be turned on manually in settings. Not a game breaker, just a little spoiler. 2) Probably the worst is Banshee is so unstable, crashing on import yet and random crashing closed while playing or selecting a song. This has happened in all 3 variants Cinn, Mate and now XFCE. Awesome. Is there a way to switch to XFCE on Mint 18 Cinnamon? As a recent convert to Linux, I’m raising a glass to all involved in getting the latest Mint out as XFCE. Mint has become my “safe haven”, and XFCE my favourite – far, far away from the madness of Windows 10. Thank you all for the hard work. It is appreciated. Nice work, thanks to team! It is possible simplier way for upgrade from 17.3 as terminal method? Edit by Clem: Yes, this was reported during the BETA but we couldn’t reproduce it at the time. It’s been solved since and we’ll soon ship the fix as a package update. I’m so happy! I’ve been waiting for Xfce since the Cinnamon Sarah release. Thank you for all the hard work! I have three machines that I put on Linux Mint. One is so old, it is a Dell 32 bit machine. Another is an Acer (I said it stood for “Awfullest Computer Ever Run”). The Acer was so bad I was getting ready to give it to Goodwill just to get rid of it. It is like a new machine! The third one is my main computer. It is a Dell Inspiron. In each case, when I left Windows for Linux Mint, the machines took off like a race car. Thanks so much. I am retired and, thus, on a fixed income. However, as soon as I can see fit I do plan to make donations. You are definitely worth it. Thanks for the update! Keep up the good work!!! One bug seems to still be there at least in the live session: the logout dialog invoked by xfce4-session-logout opens as its own window. Proper behaviour, as seen e.g. 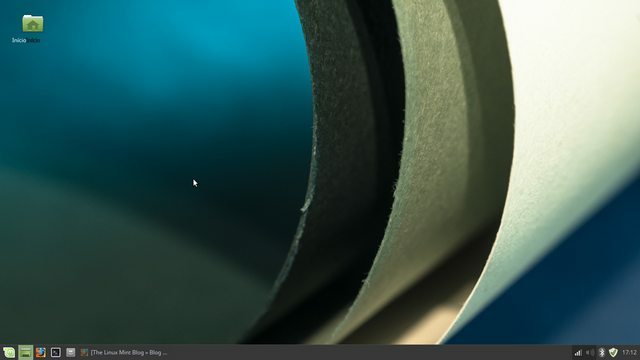 in xubuntu, would be as a kind of screen overlay, with the rest of the screen dimmed. Now, all I’m waiting for is a 32-bit UEFI version to ensure compatibility with the tablets that for some silly reason ship with 32-bit firmware. Everything works great, except when I put Mint-Y-Dark theme. The problem lies in desktop icons and text that is underneath them. Text is not centered, but moved towards the left portion of the icon, and you can see dark shadow beneath it which still lies centered. Installed about 4 hours ago, my first time using Xfce, so far everything working perfect! 15 mins to install another 15 mins or so to get all the updates, a far cry from those day long (or overnight) install/updates of Windows lol. Very nice job by the Mint team, much appreciated. Awesome! Starting from LM16, I am a LM xfce distro lover. Thank you LM_TEAM for this great piece-of-art. But… I have a small problem: since LM160, I try all LM xfce distros using a VirtualMachine, trying to playing a little bit with and get in contact with the each LM xfce distro news before “unleash them” them into my laptop. Unfortunately, with LM180 (x32 variant) both ISOs (beta and release) stuck to boot and the 10s timer is no more decreasing. (I use VirtualMachine v5.1.0, but also the same behavior on v5.08). The same ISOs on the VMware, working perfectly. In VirtualMachine case, could we “blame” the VirtualMachine or what?! Only a slightly annoying issue: in the “Keyboard” settings, I’ve mapped Super+Return to open a terminal, but now when I press this combination I get my terminal, and randomly the whiskers menu will show up as well. Any known way of preventing this, while still having the whiskers menu mapped to the Super key? When my mouse move to the right of the panel, the panel is a little bit shaking. It works great on an older Dell that came with XP. Smooth as silk! I’ve installed LM 18 XFCE x32 and now I cant scan driver for Panasonic KX-MB1500. LM cinnamon 18 do not have the problems. I have installed printer driver but it do not work. During printing arises error. Do not work printer driver of Panasonic KX-MB1500. The workaround works, but that’s obviously something that should get fixed. Ubuntu has released its 16.04.1 version which contains bug fixes and other improvements over Ubuntu 16.04, see http://distrowatch.com/?newsid=09480 Will Ubuntu’s 16.04.1 codebase be incorporated into the next 18.1 update of Linux Mint 18? Edit by Clem: 16.04.1 is just a new release on the same package base (16.04) so all the fixes included in it are already available to Mint 18 and Ubuntu 16.04 users. Most of the critical bugs which shipped with 16.04 are also already fixed in Mint 18 (either via pins on our repositories, or via imports, for instance we ship with network-manager 1.2.0, just like 16.04.1, and unlike 16.04). Why do they make Linux Mint 18 so hard to download ? After using Cinnamon for a few weeks… and now going back to Xfce, I was a little disappointed with the implementation of the themes. Mint-Y-Dark in X is not the same as in C. In X there’s a thick black border. The themes in C just seem crisper, neater with less emphasis on ‘bordery’–not that there is such a word–cosmetics. Otherwise… as always Xfce is really great! I have been using “Mint” since its first release, I am just now getting to try this version. I am sure that in keeping with the “Mint Team” standards, that this release/flavor will be just as good as all the rest (Cinn, Mate, etc. etc.). I do have one comment, but not about the build, it concerns the pointer to the RSS feeds, all I am seeing when I click is a page full of XML code, I am Using Google Chrome, any ideas? Attempted to install Sarah Xcfs on an old Toshiba M-500 laptop which runs 17.3 Cinamon on a 64G SSD. Replaced SSD with a spare 64G SSD. Install process from USB flash completed but restart failed. Tried 3 times, same result. Checked a lot of things, nothing unusual except the fan was running fast and everything was getting very hot. Replaced the SSD with the original, boot OK. Seems all the beta bugs made it into release…and then some. 1. tumblerd is still locking drives with video files so they won’t un-mount or eject. 2. Simply browsing to /usr/share/backgrounds/linuxmint?-sarah with Thunar completely crashes the system (every time) and reboots, where my bios gives a boot failure error. This crud was the reason I didnt use MATE…could not change wallpapers due to hard crash and now it’s in Xfce and Cinnamon too. 3. choosing the Y themes breaks desktop icons to where text is off center and separated from shadows and lots of text stays dark and unreadable. 4. X-apps…hate them. I like the Xfce defaluts, mousepad and ristretto for example. That is why I use Xfce and x-apps broke that inot a bastardized xfc-innamon. Blech! Mint 18 is a huge jump backwards from 17.3 in general polished feel and “bug-less-ness”. Meanwhile Xubuntu has gotten that much better and does not try to cinnamonize things. Yes! Have been watching and waiting, the beta looked good. Now I can install on my main machine. It’s a quad-core desktop with 8GB of memory. XFCE isn’t just for low-powered systems! I just have to remember to make sure I have the nvidia driver downloaded, that always seems to be the only issue I have when I install on this system. But it’s been MintXFCE for several years now, so I know I will be back up and running again in no time. Thanks to Clem and all for the hard work on my go-to Linux distro. I just finished clean-installing Linux Mint 18 UEFI. The process was smooth, and I’m very satisfied with my current setup. I played with it for a few hours now, haven’t noticed any issues. It’s like 17.3, but better. I can finally update apps that weren’t supported for 14.04 anymore. Thanks for your work, LM team ! For over two days, I cannot upgrade via Mint Update. I freshly installed Mint 17.3 XFCE from USB, as 18 gave me errno 5 (I tried 3xUSB flash, two different external HDDs and even burning it on DVD). I checked the ISO of course – d5f39df4963d752c940a1a1750174deb. After booting into 17.3 (3.8.2016), I checked for updates. It found just an update to mint update and two other level one updates (do not remember their names, but for sure it was not as when I upgraded from 17.2 to 17.3). Installed them, inxi -f still gives me “Distro: Linux Mint 17.3 Rosa”. Rebooted, checked again and still “Distro: Linux Mint 17.3 Rosa. I tried even to switch from default to secondary mirrors – situation still the same. Woops, apolagies, tried Mint 18 Cinamon, same problem. Went back to 17.3 Cinamon, same problem. Something has gone strange somewhere as I have installed 17.3 before on this laptop. Bios diagnostic mode shows memory and things are OK, hits the CD and then appears to go into a loop in the boot SDD boot process. (Related to post 34): Did somebody try LM180 (x32 variant) (beta or release) to install into a VirtualBox machine? I use VirtualMachine v5.1.0, but both distros stuck to boot and the 10s timer is no more decreasing. Why is there the “Install release” icon, even after installing it to the hard drive? I’ve used Sarah Mate and found this program. Thought it was a problem from using from Beta. So I reinstalled with XFCE. But this is still there. Congratulations to Clem and all! I was an inveterate distrohopper until Mint 17.1 although Mint was my favorite distro. I have three laptops on which I like to run Linux, the oldest of which is a 12 year old 32-bit IBM Thinkpad T42 and the newest is a Lenovo ThinkPad T440s (2yrs old). The T42 requires the forcepae switch to run. Since Mint 17 had a menu item to invoke the forcepae parameter its XFCE version became my first choice for this geriatric machine. Mint 18 Cinnamon is my desktop of choice for the T440s and for a 6 year old Acer Aspire 1830T I use when traveling. Both of these are 64-bit machines. Sadly 18 XFCE will not install on the T42. Oh well, if it continues to run until support runs out on 17.3, I guess I can’t complain. In my experience, on my computers, nothing else comes close to Mint. @50, if you want xviewer to look more like ristretto, go into View, unselect Side Pane and select Image Gallery. I can’t get excited about the text editor differences. Mousepad and xed are both pretty basic. I’m an Xfce fan but am noticing that the existing apps are being neglected much like Gnomes. The MATE apps should evolve after GTK3 migration is complete just as the x-apps will. Request to Clem – IMO the toolbar widget needs an user setting to vary its height. The x-apps do look ‘Cinnamon-ized’ on other DEs with more adjustable panel widths. Clem, you have an amazing project and I wish it every success. Linux mint made me love Linux and I am a big fan. One thing i want to mention is that many are trying to trash your wonderful project because of the “so called” security issues. Please can you post something on this, esp. what you are doing as a team to address potential security issues and how safe Linux is, esp. regarding security updates. Again I wish your project the very best of success. So happy, thank you for your all your labors! love MINT XFCE, it has transformed, and given real life to this older 11″ Alienware laptop, it had been slow to boot and right out of the box, and windows 10 was even slower, always wanted to try Linux, now thanks to your genius, diligence, and wicked hard work you have crafted a safe haven and new home for all of us MS refugee’s! I am retired, on fixed income, but will be donating to you from this day forward. You have made using my laptops fun again, and saved me from the disappointments of windows 10, 8, and security abyss of XP on my older machines. Mint 18 XFCE has no start up sound? Why?! Is possible to have it? Guake terminal looks huge in the pannel. So I did the upgrade via the tutorial ( 17.3. to 18 ). Everything went well but just one thing wrong. Boot time is very slow, or long. The new linux mint logo with the 5 dots under it stays for a minute or even longer, when I had 17.3 it was under 30 seconds or less. Installed bleachbit to clean old files, also removed old kernels, to see if it would improve something but no effect. I have a Toshiba Satellite L300 laptop (year 2008-2009). 3 GB ram, Ocz SSD, and the old hard drive in the optical drive slot. Great work team. I installed Cinnamon though (mint 18). But also installed the xfce using the mint-meta-xfce from the terminal. Installed fine for RDP use. But if I login from the display manager by choosing “xfce” it logs into a blank screen with just the mouse cursor. Any workarounds? Nvidia drivers are installed and fine and works perfect on cinnamon. Now if I do the reverse (install Mint xfce and then install cinnamon as a 2nd desktop) they both log in and no blank screens. It looks like logind is trumping the XFCE configuration for power buttons. DPKG moved an old logind conf file out of the way, which had the power button actions set to ignore, so XFCE could handle it. Changing the logind conf file settings to “ignore” for the power actions had the desired effect. Clem could you please be kind to reveal the lenses that you use? Mint 18 Xfce is a buggy mess, sorry. I have gotten most of the bugs already mentioned, plus a bunch of others I can’t even remember right now. I just did a clean install trying to avoid some of them and this time Firefox has no search providers. None. Can not even access the search section in preferences at all. I tried reinstalling, uninstalling completely and it took grub-help with it…wtf? Then reinstalled and it wanted to bring xul-ext-ubufox, NO! What the fudge, and synaptic was doing strange stuff like just going blank after I select something to install. Things crashing. Just a mess. This release is just bad. same as 17.3. My other computer a 64 bit AMD processor has a more windows style. All good. I have installed with success a working version of Adobe 15.5 the latest version from Adobe, n w that is improvement. Also Gutenprint supports my Epson 10,000 printer. Unfortunately this Edition is full of bugs. Text under Icons is not centered and if you klick on the buttons of the panel, the buttons move like an rollover-effect. I seems that also boottime is a little bit longer than in 17.3 (which was the best XFCE-Edition so far). One thing has changed to be better: Deleting objects on the desktop is now as fast as it should be. Edit by Clem: We’ve got a fix for the icon text (https://github.com/linuxmint/mint-y-theme/commit/bd10d0ecfa91ead604dc79e0deb6c4cc7184c26b), it only affects Mint-Y. We’ll push an update for this very soon. Regarding boot time, it depends what’s installed. You can troubleshoot this with “systemd-analyze critical-chain”. Hi Happy Linux Mint 18 Sarah Xfce Edition is there. But why is there no UK/US user guide?? What I am missing here is a link how to install Mint and especially via a USB key. I experienced all sort of problems with a live USB key with previous releases especially when I tried to make it persistent. This detailed information really should be here on the Mint front page! Go to the forum is annoying, there are countless websites and methods to make a live persistent USB key but try to find one which is actually working…..good luck! Essential information to get things going on the front page of Mint would make this a better place. Attempted to install to a Mushkin Triactor SSD, but the install does not see the drive. When I run gPartEd from the Sarah 18 xfce Live USB drive, it does not see the SSD either. Tried 3 other LINUX iso’s. Debian8Live, Mint 17.2 and Bodhi 3 something. All of these had no problems with showing all my drives and partitions. Also replaced the SSD with a normal HDD and the install went through with no problems. Thanks a lot for your answer – it works! Is it possible to have the Mint-Y dark-theme with acqua-color? I recognized another bug in 18; Sometimes when switching the user the system logs off and hangs. So I have to make a restart. Il y’a un problème avec Firefox, aucun moteur de recherche n’est disponible. Edit by Clem: Updatez mint-artwork-common en version 2.0.7 (on a un soucis avec nos depots internes, donc switchez vers le depot principal si votre mirroir n’offre que 2.0.6). Thank you very much !!!!!! Long life to Linux MINT XFCE !!!!!!!!!!!!! My only concern was the tiny visual issue in the Mint-Y theme. I had no Firefox 48 issues (search engines, right-clic, etc.) and no additional problem till now. Clem published a few hours ago corrections concerning mint-artwork, mint-y-theme and Firefox and for me, it works like a charm. I hope it will be the same for the majority of the LM18 Xfce users! This is spectacular. Works out of the gate on a Lenovo Flex 3 (1130). This wonderfully lightweight distribution has helped me turn this rather underpowered laptop into a screaming productivity machine. I am most commonly off-line with this machine and want to type reports, take notes, create and update journals, and create training materials in the forms of presentations and manuals. Mint 18 XFCE has enabled me to do this easily and quickly. I have tried other “lightweight” distributions on here, but always found something lacking. It is nice to see that I can now have features, beauty, and most importantly, productivity. Boot time on this “low end consumer laptop” is about 20 seconds from powered off to fully logged in. First launch of LibreOffice is less than 3 seconds. Launch time of CherryTree, Tomboy, Xournal, and Calc are all under a second. Thank you so much for allowing me to take this economy grade laptop and turn into a truly productive machine. The “close” button of the window buttons has a pixelized look when using Mint-Y. Is this fixed after installing updates? I’m still running the live USB. I hated that delay in the whisker, so I uninstalled the xfce version (17.3)from my laptop. Very Good ! I am running this M18 xfce ( I’ve been hooked on xfce since your M13 ), The old Dell 2400 desktop, was built in July 2003 !! has a Pentium 4, 2.66 Ghz, 1.26 RAM, Has PAE, 32 bit, using about 30 GB of the hard drive. I have 4GB of ram ,500GB of HD. I have a quetion when ever I open desktop setting it freezes . I cant change sense the day i made an upgrade in it . and its being slow . Please, don’t remove the Oxygen theme and all concerning it from Linux Mint 18 KDE live media!!! Not all old users are compatible with new default Breeze theme, I am just unable to operate with it anyhow! Hi, the ISO verification instructions do not work here with gnupg 2.0.28. Also this blog is in http only so providing the link to the signatures here doesn’t seem safe. Tried installing Mate to a USB…ended up getting error: ‘/boot/grub/i386-pc/normal.mod not found’ …and decided not to pursue, that. Installed Cinnamon to HD, and all seems to be well, so far… will see how it all shakes, out. Ubuntu 14.4 & 16.04 both freeze, on my HP (new box). Desktop looks, good! Does anyone have any idea? Is this a know issue ? Kindly confirm this is high priority issue for us right now. Hi Cleam, Compiz does not work with Mint-Y theme? When a activate compiz the window borders are changed to Mint-X theme. I feel that Mint is not making enough of the fact that it cannot be run on with gaming performance on AMD graphics. I understand this is because AMD are behind the curve with their proprietary driver, yet 17.3 ran fine with the existing Fglrx drivers. Mint 18 variants cannot use this driver, and this needs to be WAY up there in the release notes, not just a little footnote. I wasted a lot of time on this, and I’m sure I am not alone. While playing around with the Bluetooth feature on the 64-bit live usb, I closed my laptop’s lid for a while to go do another thing. When I came back, I clicked on the Bluetooth tray icon and the resulting dialog referred to my laptop as “Bastien’s Computer.” Keep in mind that it called my computer something else before I closed my laptop. No idea why whatsoever. I only recently switched from Windows to Linux Mint and am still climbing up the learning curve. My thanks for the many wonderful Mint distributions. I note the increased emphasis on verifying an ISO image which is very sensible in todays environment. Then why don’t the ISO image creator(s) also stress on checking the disk or usb stick for ‘integrity’ on which the ISO file was burnt to? I only found out by accident (untamed fingers) during the automatic boot process that such a check is available. A drop-down menu incorporated in screen display would be helpful – especially for Linux novices such as I am. And I couldn’t find any reference relating to this ‘integrity check’ in The Linux Mint Official User Guide. This guideline is targeted for an advanced Linux user but a novice (such as I am) will struggle to make sense out of the prescribed steps let alone implement correctly. Clarify the meaning of the round circle which is placed in front of the command-line. No mentioning of placing a ‘cd’ command and ‘directory path’. There no download link per se for the 2 .txt files available. One must actually create the files by copying the content of the links which then can be added to the same directory in which the iso image is located. Could the author of this particular guideline be persuaded to review and edit the Steps to a more user-friendly document?